We could never have guessed that God would use Colt’s birth to lead us to Nic in an orphanage across the ocean. We would never have imagined the amount of love and joy that Colt and Nic would spread to people all around the world. We never knew how God would use these two boys to give comfort and hope to so many others who have received their own diagnosis. 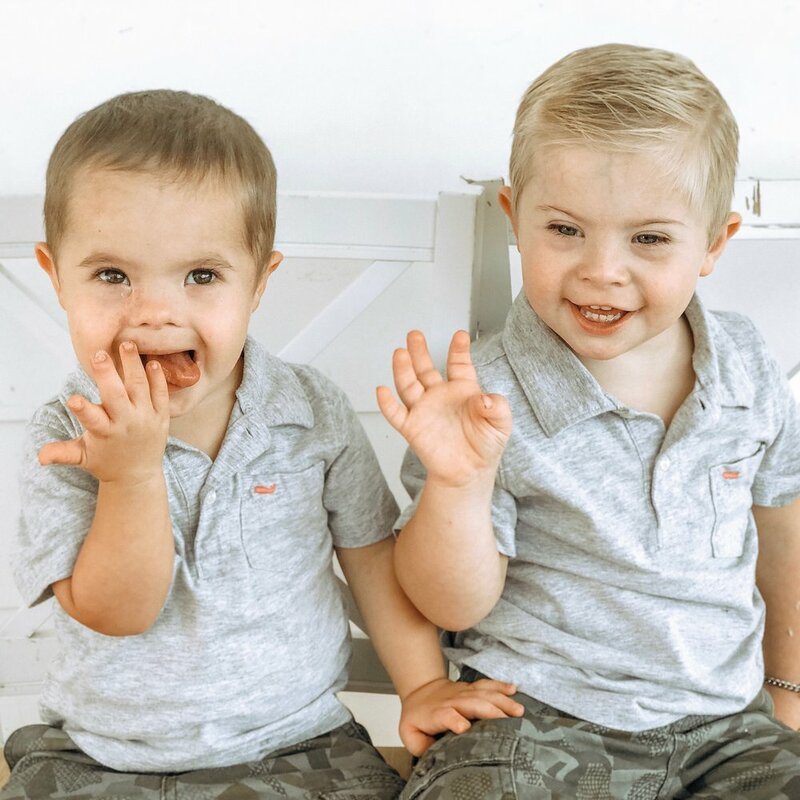 But, almost 4 years ago, on the evening of Colt’s birth when we looked at Colt’s beautiful almond eyes and asked ourselves, “Do you think he has Down syndrome?”... We did know Psalm 139:14… I am fearfully and wonderfully made. John 9:3… but this happened so that the works of God might be displayed in him. So, we knew that God was going to use Colt with his beautiful extra chromosome for His glory and this was the beginning of a new adventure. As all adventures in life, it is not always without fear, trials and difficulties but it is filled with the testimony of God’s grace and faithfulness through it all. Our five older children sent to the playroom to wait, had only made it to the opening scene of “Frozen” when we delivered Colt in our bedroom at home with our midwife in what was a peaceful, smooth and FAST delivery. With the exception of a great deal of swelling due to an unusual face presentation birth, there was nothing unusual about our beautiful baby boy. But as the evening went on I began to notice something unusual. Colt didn’t cry the entire night. He hadn’t cried since his birth. While this was pleasant, I knew that it wasn’t normal. Instead of sleeping, we found ourselves scouring the internet for “signs of Down syndrome”. When our midwife returned the next afternoon, we did not immediately mention the diagnosis that in our hearts we were certain of. I noticed her examining all the areas that I had been staring at all evening, checking for the gap in between the big toe, the crease on the palm of the hand, the smaller ears. Colt had none of these, but his eyes told it all. It wasn’t just his beautiful almond shape eyes with the skin fold on the upper eye, but one of my favorite traits, his Brushfield spots, the little white sparkles on the blue iris of his eyes that told us his diagnosis that first night, long before the lab tests. Our sweet midwife didn’t know that we had suspected this and shared that she agreed. She asked us how we felt about this if it proved to be true. Jim quickly responded, “we don’t care… why would we feel any differently? He’s just as wonderfully made as our other children.”…. Thanks so much for all your sweet notes! “Surreal” is the only word that I can think of to describe the initial discovery of Colt’s diagnosis. I don’t know if it’s a good word, but we were surprised, not sad or upset. We knew that God does not make mistakes and we loved individuals with Down syndrome but also knew nothing about it. 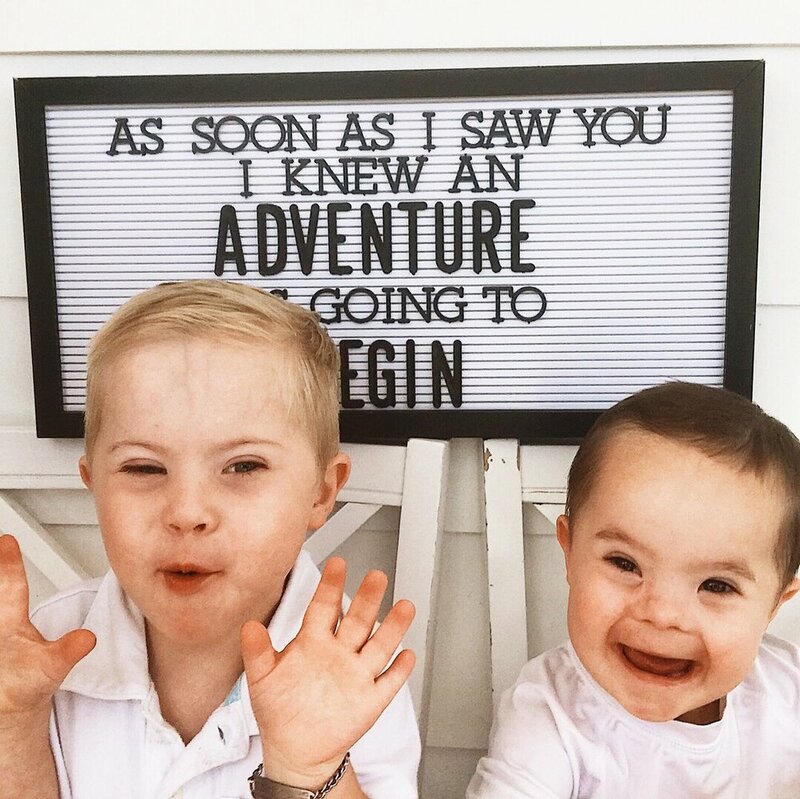 She had absolutely no idea what Down syndrome was and had only seen us react with happiness about it but it sounded scary and she didn’t want anything that was different for her baby brother. I think that’s how many adults react. The unknown can be scary but it doesn’t mean that it is bad, as she quickly learned. All of my children have loved Colt as Colt from the beginning. Down syndrome might have been a scary name but they realized that it really meant nothing in defining who he was. He was just their adorable brother who they loved. This was how I hoped everyone would respond. I dreaded the thought of someone saying, “I’m sorry” about our beautiful baby boy that we celebrated. With the exception of a close few, we didn’t share the news until we received the final confirmation. We wanted to share Colt’s diagnosis in a way that let people know that we celebrated our wonderfully made boy with his extra chromosome. 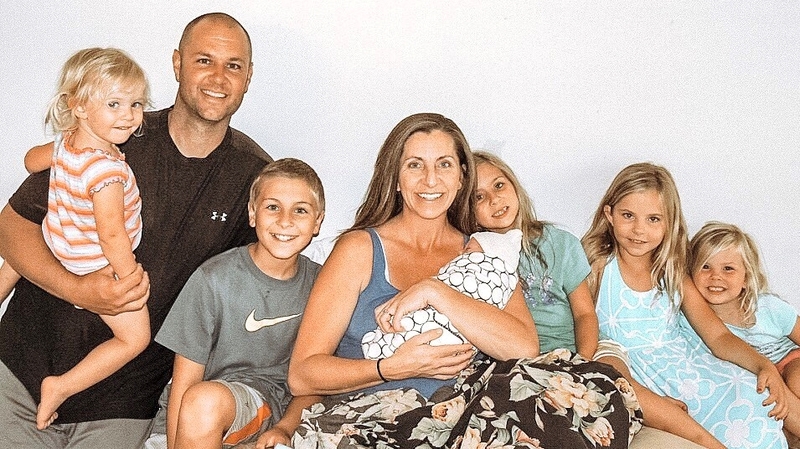 July 29, 2014... Hi Friends, We wanted to take a minute to share an update with you on our newest member of the family Colt. 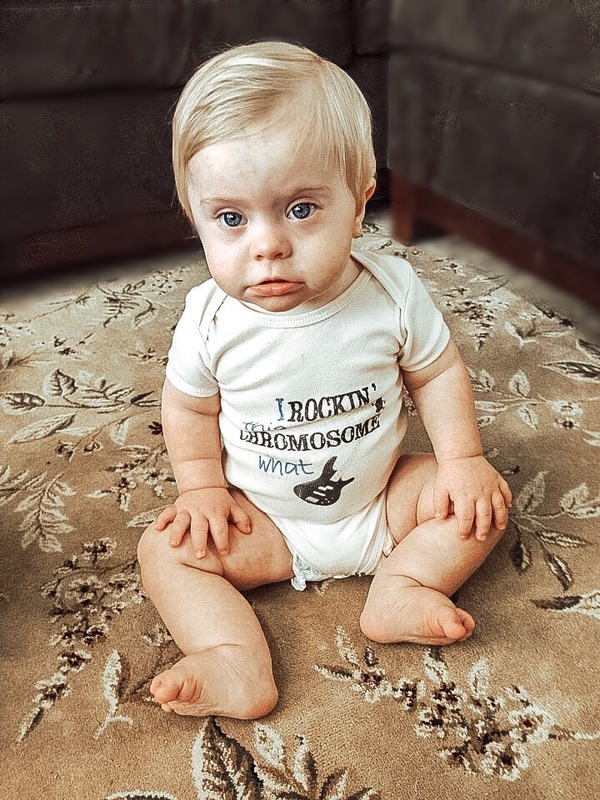 Turns out our little guy has been gifted with an extra chromosome, (otherwise known as Trisomy 21 or Down syndrome). 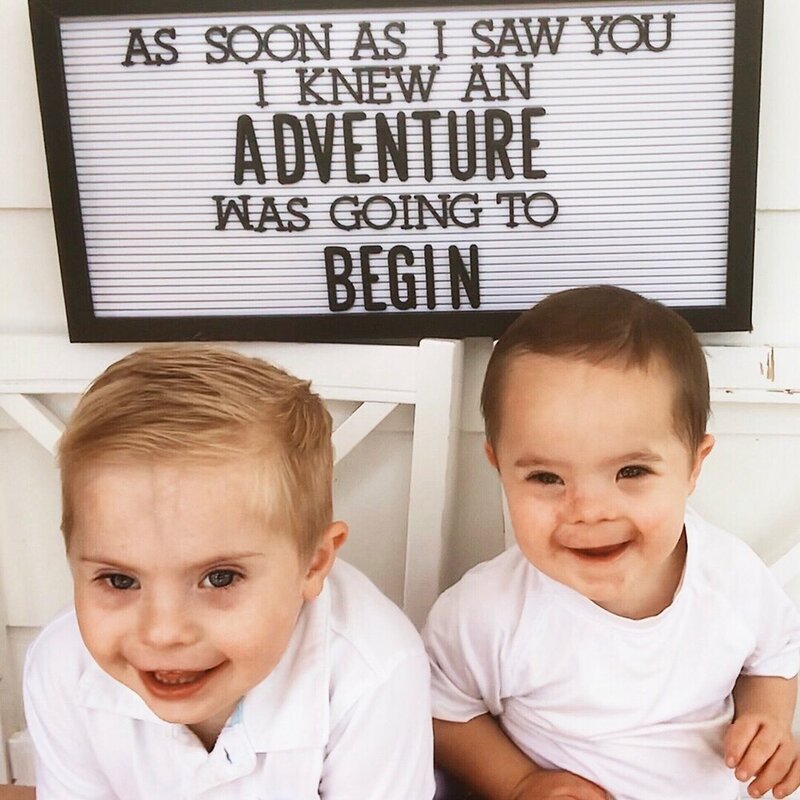 We sort of knew this soon after Colt was born when we saw his precious face that revealed one characteristic of down syndrome which is the adorable up-slanted almond eyes. He also didn't cry in the first 24 hours aside from a diaper change, which we also knew wasn't "normal". After a quick search on the internet we learned that many babies that have down syndrome do not cry very often. So this also began to confirm our belief that he could possibly have down syndrome. 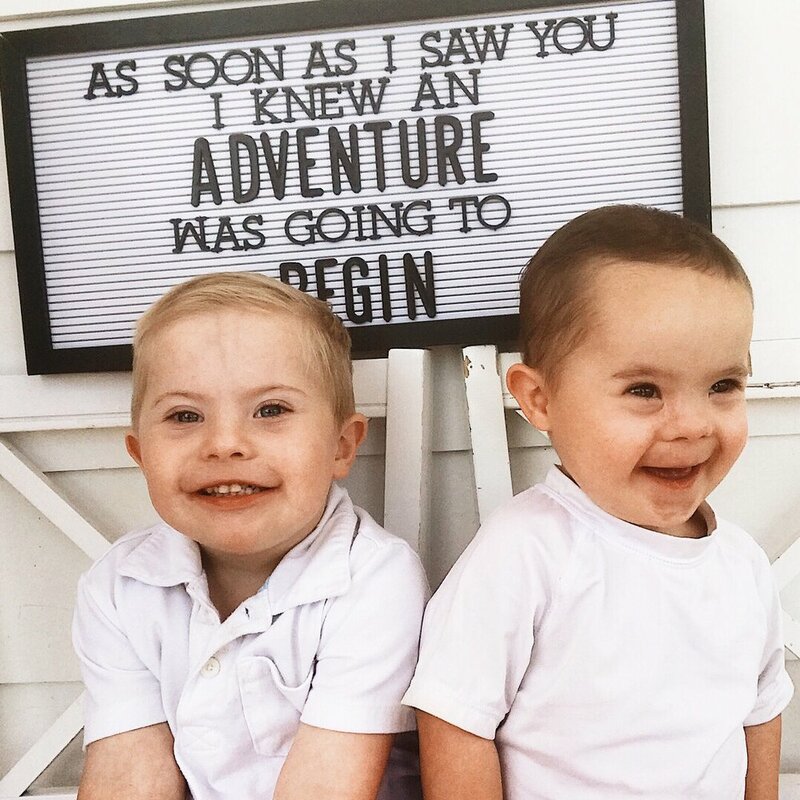 When the midwife came back the day after the delivery for Colt's 24 hour check-up, she asked us if he looked like our others, we told her, "well yes, his older brother but with down syndrome". She was caught off guard as she didn't think that we had noticed nor did she realize that we would be just as happy with this possible diagnosis. She then confirmed to us that she also thought that he possibly had down syndrome. We told her that it changed nothing for us in our mind. After all, Psalm 139 hasn't changed. He is just as fearfully and wonderfully made by our perfect creator as our other five children so why should we feel any different? God didn't make a mistake when Colt was being “intricately woven” and “knitted together”. Last week Colt was seen by a pediatrician and a genetics doctor who both confirmed that Trisomy 21 was an accurate diagnosis. The last step was waiting for the results of his blood test which we received yesterday morning from genetics lab giving the final confirmation of the diagnosis that we felt we had already known since the day he was born. We are praying that God will be glorified as we get the opportunity to share with our friends and family why we are just as thrilled and have just as much joy with Colt as with our five others (who as you know are not perfect and also come with their own little package of health and behavior issues that just so happens to not be given a packaged title or cute physical traits that might define their issues into a specific group). As we were watching all of our kids cuddling Colt and doting on him and Luke carrying him around singing to him, Jim said, "well he couldn't have been born into a better family to always have someone loving on him and taking care of him :)"
Even though we know he'll be a greater gift to us than we are to him. Really it's not about him or us but just that it is an opportunity for God to be glorified and we are so grateful for that. We also know that there will be some unique challenges ahead but we have faith in our perfect Father and praise Him for another amazing gift in Colt! Today we celebrate 4 years since the start of this story with our precious gift Colt! Colt, our preacher, singer, dancer, magician, mischievous cookie thief with contagious joy and love, has already touched the lives of more than some people do in a life time. We loved him before we knew any of that because of what we knew about God. But we didn’t believe those truths like we should. We knew every individual is wonderfully made in the image of God deserving of equal love, life and respect. We knew that what the world defines as success: fame, beauty, talent, wealth, popularity, comfort and ease, never leads to true joy and more often leaves those that achieve them empty and seeking more. As the hymn says, our “worth is not in skill or name, in win or lose, in pride or shame But in the blood of Christ that flowed At the cross”. But every time we looked at a child with different abilities with a bit of sadness instead of celebrating those differences and seeing the gift in them or feared having a child that was considered different instead of realizing what it really means to believe that God doesn’t make mistakes, we have shown our weak faith. We placed a value on an individual based on the world’s ever changing, conditional, ranking system instead of showing Christ’s unconditional love and trust in His sovereign plan. God used Colt to open our eyes to this weakness. He strengthened our faith in His perfect plans replacing fear with courage in celebration of unique differences, knowing that they are for His glory. In doing so, God used Colt to lead us to Nic, an orphan across the ocean whom He loved unconditionally and knew would need us, long before either boys were even a thought to us. 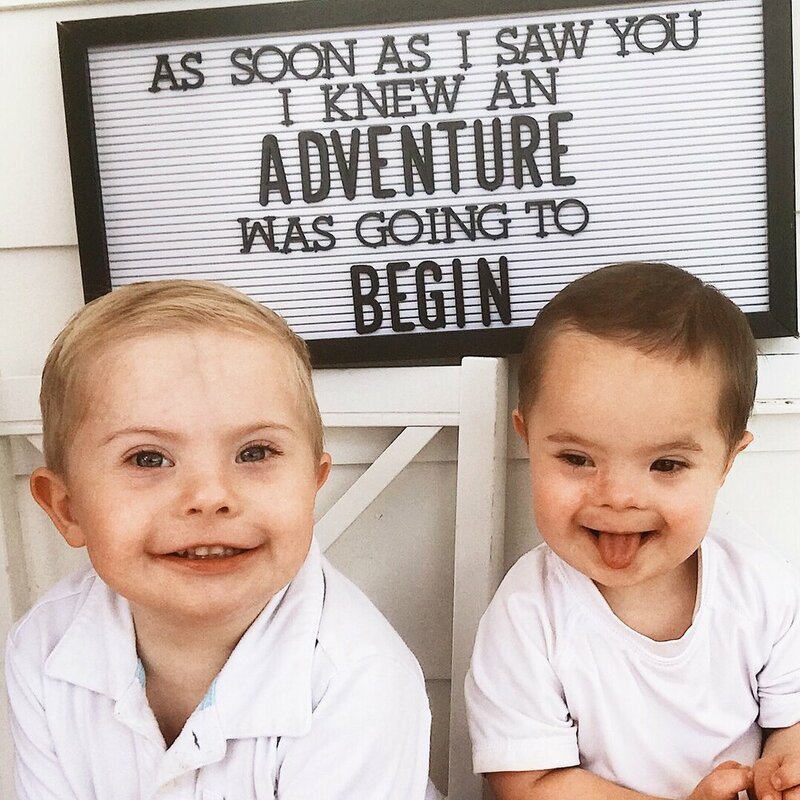 I don’t know what goes on behind the scenes of this story or what lies ahead, but if the first four years are any indication as to what’s to come, God has a lot more to accomplish through one little boy, who happens to have an extra chromosome. Oh how we love him and how grateful we are to be a part of this story and to share it with all of you! Thank you for celebrating!